Maximum temperature 18 degrees, light rain from 0800 to 0900 hours. Staff 15. Panz. Div. 1st Echelon, Ia, Ic, IIa. An enemy raid on Sollum was repulsed with heavy losses to the enemy. A landing attempt undertaken at Bardia at the same time failed. One English major, three officers and 56 men were taken prisoner. 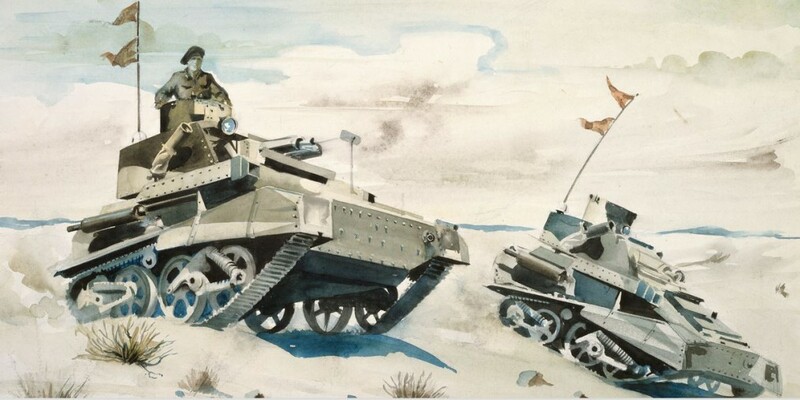 On the Tobruk front a reconnaissance push by single tanks from Fort Ras Mdauuar was repulsed. Heavy enemy bombing activity during the night and the day. One Wellington bomber shot down. Three freight steamers entered Tobruk harbour. Attacks by the Luftwaffe were not possible due to low cloud ceiling. Two coastal freighters that were supposed to bring supplies to Derna were sunk by enemy submarines. Preparatory measures for the decisive attack against the fortress of Tobruk commenced. To free up the lei.Div. and another Italian division, a request was made to the Italian high command to bring up to Italian static divisions. Via the Italian liaison staff a request was made to make available a larger number of Italian officers with personal knowledge of the Tobruk fortifications. Order for the conduct of combat against the fortifications of Tobruk, see the same. Div. Trento received the order to concentrate south and southwest of Acroma and to be ready to march for Bardia on 23 April. 1 See this thread on Axishistory for more detail. 2 There is no record of this in the 1 R.T.R. war diary. It appears based on the Australian official history that this was a carrier patrol which turned around when it noted that Carrier Hill was strongly occupied. 3 There is no recorded loss of a Wellington on this day, according to Bomber Losses. 4 This is possibly conflating two events of the previous days. On 17 April German steamer Samos was sunk on a mine just 1 nautical mile off Benghazi (see this link), while on 17 April, HM/Sub Truant (Lt.Cdr. Haggard R.N. – IWM has an interview with him, see at this link) had sunk the auxiliary schooner V162/Vanna, on her way to Derna with a cargo of ammunition, just 300 metres off Appolonia (see this link and this link for a picture of her being sunk). HM/Sub Truant, courtesy of Wikipedia.